Language is such a cultural totem that its translation doesn’t cover all the corners. But yes, translation helps us to bridge distances. When we talk of machine translation, the name without surprises that comes to mind is of Google Translate. 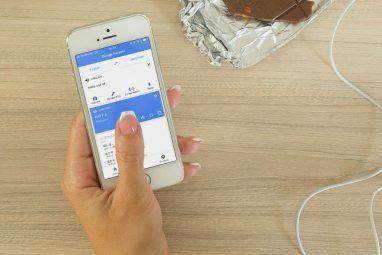 Google Translate is building bridges between languages and cultures; last year Google announced that the Google Translate service was being used 200 million users monthly. The figure perhaps blows away the notion that Google Translate doesn’t get the limelight it deserves. Perhaps, most of us don’t use the service so much because our comfort zone is English. But let’s realize that there are many other interesting uses of Google Translate other than turning a love to an amour. Sometimes there are some cultural specific searches, for e.g. when we are hunting for recipes or food items that are of a particular cuisine. A translated Google search helps to grab pages from foreign language websites which otherwise would have slipped past us. And yes, Google Translate does translate the page in English (or any of its supported languages we choose). It might not be perfect, but for the information it often serves its purpose. Type in your keyword and use the Translated foreign pages option under Search Tools More Free Google Search Tools You Might Not Be Using So Much More Free Google Search Tools You Might Not Be Using So Much Each filter and operator on Google Search is designed to be a crosshair on a scope mounted on that ‘canon’. You need to use them appropriately for the relevant search result. So, I am advancing... Read More . It’s not yet as seamless as the translation of other languages on Gmail (which is semi-automatic); but an official Google Chrome extension – Google Translate for Google+ does the trick. After installing the extension, you will see a translate link next to the messages in your stream. In the off-chance that you have your hands on a rare Chinese or Japanese book and you want to get it translated, take the help of Google Translate. Google Translate allows you to upload PDFs and have the translated version displayed on another browser tab. I tried it out with a translation from English to Hindi (my mother tongue)…the translation wasn’t completely accurate, but was enough to give me the gist of the document. 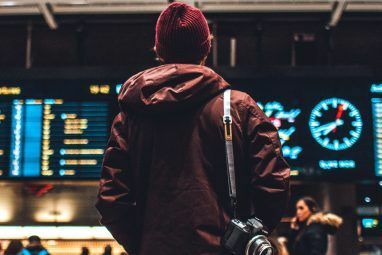 I can’t give you the nitty-gritty on this one because I don’t own a website myself, but the free Website Translator plugin can help to convert your webpages to 60+ languages and reach out to more people around the globe. Chances are it will increase your page views, but more importantly it will help people from the farthest corners to access the information you are broadcasting. The Google Global Market Finder is an analytical tool that allows you to search metrics in foreign markets. 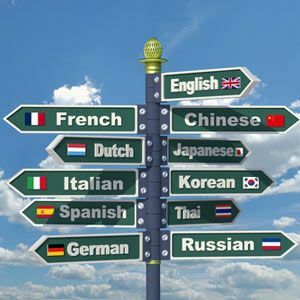 You can choose among different markets and use keywords in up to 56 languages. Google translates the keywords for you and taps into how many people are searching for those keywords. With the results, you can reach out to new markets and tailor your promotion to address their needs. Google also says – combined with AdWords, Global Market Finder also provides estimates for bids, and competition for each of your keywords by market and language. Google Translate can be used to practice a foreign language and that includes English. But the text-to-speech tool indicated by the little icon is a handy pronunciation guide 8 Online Audio Pronunciation Guides That Help You Speak Words Correctly 8 Online Audio Pronunciation Guides That Help You Speak Words Correctly Read More . You can quickly use it to understand how common or unusual words are pronounced even in English. It’s especially useful for getting the correct pronunciation of common French words which have found a place in the English lexicon. You can in fact, use the audio option to let Google read out text pasted from an audio book. A few days back, Google introduced the Phrasebook with Google Translate. 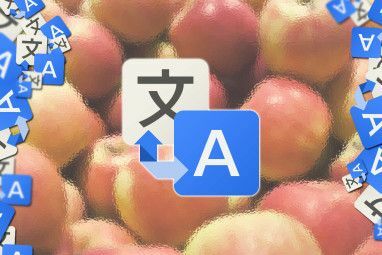 The Phrasebook allows you to save the translations you commonly use in a searchable list. You can store your favorite translations by clicking the star icon. You can reuse the same translations and hopefully learn a few basic foreign phrases in the process. I wouldn’t use it for deeper language learning though because machine translations aren’t always accurate. You can complement your understanding of the foreign phrases by clicking on the icon that demonstrates their usage with a sentence. Directional information and other markers are sometimes a challenge to decipher in foreign countries. It could be a virtual impossibility in countries like China and South Korea among others. Google Translate for Android has camera-input support for Chinese, Japanese, and Korean. You can snap a picture of the text with your smartphone camera, and brush your finger over the part you want translated. There is also handwriting-input support for Slovenian, Czech, Slovak, Croatian, Lithuanian, Icelandic, Macedonian, Ukrainian, Welsh, Latvian, and Afrikaans on the Android app. You can use the Android app as your de facto language guide by typing in what you mean to say in your language and having it translate it in another. The app also displays the translation in a full-screen view which could be useful when you want to show your query to strangers. Nancy showed us four ways to have fun with Google Translate 4 Fun Things to Do with Google Translate 4 Fun Things to Do with Google Translate Read More . I am sure there are more out there. Translation Telephone is one which is a take on the old party game, using Google Translate instead of party guests. The web version of the telephone game translates the message to 20 random languages using Google Translate and finally translates it back to the original language. The end result is usually a funny warp of the original one. There are quite a few reasons for Google Translate being one of the best things 4 Reasons Why Google Translate Beats The Other Services 4 Reasons Why Google Translate Beats The Other Services Read More next to human translation. One reason of course, is that it is tied closely to all Google services we use. With the all-conquering presence of Google, Google Translate is helping the world come just a little bit closer. But what about you? Have you used Google Translate in a unique way? Has it helped save you from a tongue-tied situation? Tell us in the comments. As a native Slovak speaker that is fluent in English as well.. I think Google should seriously improve the Slovak translations. They are literally completely wrong with even the most basic of phrases or words, which is understandable since Slovak is one of the, if not the hardest (according to some sources of research), languages to understand. (So much that even native adult speakers have trouble keeping the grammar right - best examples are with the letters 'i' and the 'y' that sound the same in Slovak but can change a meaning of the word completely). The Google Translate deep learning system is based on statistics, so it needs more underlying data to get better. Data for some languages and especially for spoken language is really tough to get. GT also does not get the nuance of a language. The reason I do not use google is because where I reside the national language is other than english. The problem with google it always reverts to the national language no matter how many times I reset it to english. This has fustrated a lot of international users of google. Firefox on the other hand will remain in english unless you specifically set it to another language. Therefore my choice is always firefox and always disable all google search engines. I have not had any problems utilizing Bing. I just love Google Translate! With the latest offline dics, it's unbeatable! According to several linguist friends of mine, using Google Translate (or any other web-bases translation device) is fine if the subject is not really important. However, if it is important, like business, you really need to have it translated by a person. Also, I never thought of using it on a phone. 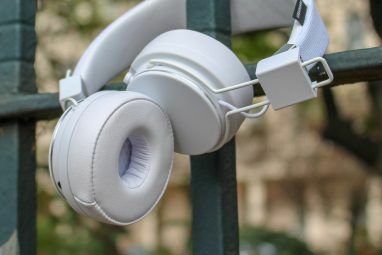 That is a great idea if you are taking yours while traveling. A machine tends to translate more literally while a person translates idiomatically. Exactly. Oft times, however, transliteration, as a machine would do it, isn't correct. They mess the grammar up. Also, every language has its nuances. Let's take Spanish for instance which has different dialects in Latin American countries. GT won't be able to catch all that precisely. Absolutely...for casual use Google Translate is just fine, but not for accurate translations. Machine translation has its limitations.